Marguerite Annie Johnson Angelou (April 4, 1928), known as Maya Angelou, was an American author, actress, screenwriter, dancer, poet and civil rights activist. Angelou had a difficult childhood. Her parents split up when she was very young, and she and her older brother, Bailey, were sent to live with their father's mother, Anne Henderson, in Stamps, Arkansas. As an African American, Angelou experienced firsthand racial prejudices and discrimination in Arkansas. She also suffered at the hands of a family associate around the age of seven: During a visit with her mother, Angelou was raped by her mother's boyfriend. Then, as vengeance for the sexual assault, Angelou's uncles killed the boyfriend. So traumatized by the experience, Angelou stopped talking. She returned to Arkansas and spent years as a virtual mute. In the mid-1950s, Angelou's career as a performer began to take off. She landed a role in a touring production of Porgy and Bess, later appearing in the off-Broadway production Calypso Heat Wave (1957) and releasing her first album, Miss Calypso (1957). A member of the Harlem Writers Guild and a civil rights activist, Angelou organized and starred in the musical revue Cabaret for Freedom as a benefit for the Southern Christian Leadership Conference, also serving as the SCLC's northern coordinator. In 1961, Angelou appeared in an off-Broadway production of Jean Genet's The Blacks with James Earl Jones, Lou Gossett Jr. and Cicely Tyson. Angelou spent much of the 1960s abroad, living first in Egypt and then in Ghana, working as an editor and a freelance writer. Angelou also held a position at the University of Ghana for a time. In Ghana she also joined a community of "Revolutionist Returnees” exploring pan-Africanism and became close with human rights activist and black nationalist leader Malcolm X. In 1964, on returning to the U.S., she helped him set up the Organization of Afro-American Unity, which disbanded after Malcolm X’s assassination the following year. 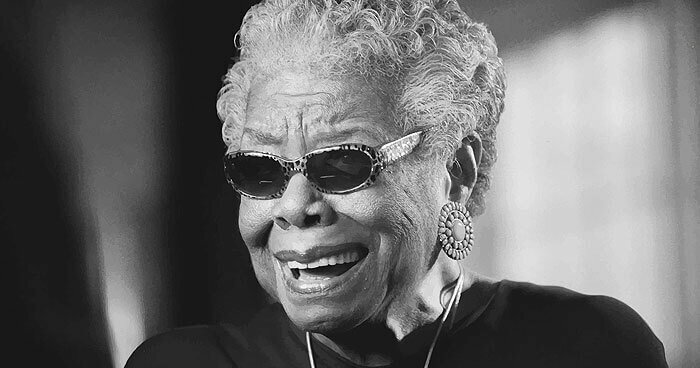 Angelou's career has seen numerous accolades, including the Chicago International Film Festival's 1998 Audience Choice Award and a nod from the Acapulco Black Film Festival in 1999 for Down in the Delta. She also won two NAACP Image Awards in the outstanding literary work (nonfiction) category, for her 2005 cookbook and 2008's Letter to My Daughter. Cool Fact: Martin Luther King Jr., a close friend of Angelou's, was assassinated on her birthday (April 4) in 1968. Angelou stopped celebrating her birthday for years afterward, and sent flowers to King's widow, Coretta Scott King, for more than 30 years, until Coretta's death in 2006. After experiencing health issues for a number of years, Maya Angelou died on May 28, 2014, at her home in Winston-Salem, North Carolina. The news of her passing spread quickly with many people taking to social media to mourn and remember Angelou. President Barack Obama also issued a statement about Angelou, calling her "a brilliant writer, a fierce friend, and a truly phenomenal woman." Angelou "had the ability to remind us that we are all God's children; that we all have something to offer," he wrote.